From developing the simplest static single page to the most complex web-based internet applications, Tallan will use cutting edge technology & best practices to create custom sites that increase user engagement for your business. Progressive Web Apps combine the best elements of mobile sites and native apps while mitigating their disadvantages, all while translating to 3x less data that each user has downloaded which is great for both the company as well as the user. The overall cost per conversion is reduced, mobile bounce rate is dropped, and conversions specifically on mobile increases with PWAs. Not only that, but transition to Progressive Web Apps can also increase mobile transactions overall. Imagine having access to components such as data display, statistics, notifications and news as soon as it becomes available. Real-time Web app technology shows its real value when interactive experiences are created - when multiple users and systems are instantly communicating with each other. Single page websites aim to provide the perfect, readable minimum amount of information for a user to make a decision and act upon it with no additional pages removing as much “clutter” as possible, focusing the user’s attention to the most important content at hand. 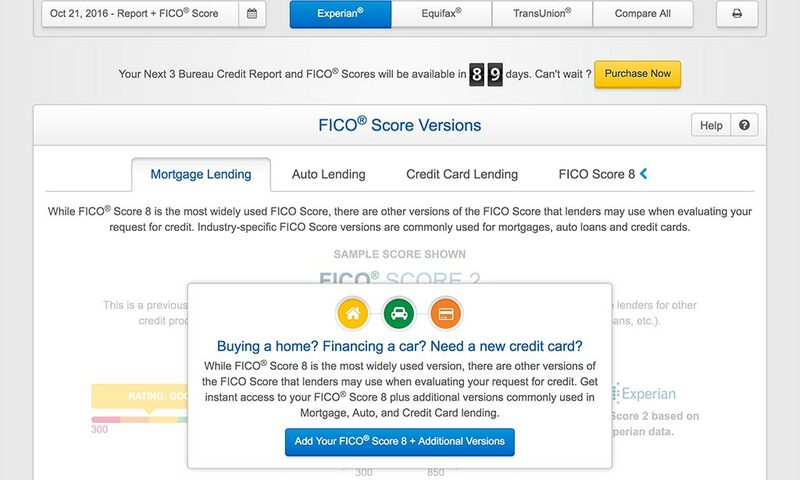 They offer a more-native-app-like experience to the user. Single page sites are not only more simple and easy to operate, they are eye-pleasing on every device making it easier to navigate and more responsive on any platform used. Envisioning covers problem-discovery, situation-assessment, and solution-planning process. It’s designed to improve the chances of solution success by addressing the risks and challenges present in the early stages of the implementation process. Tallan specializes in custom web development and responsive web design. Our proven web development process is highly collaborative and designed to incorporate best practices while achieving your vision for your webpage. Take a look around and see what we’ve been working on lately. 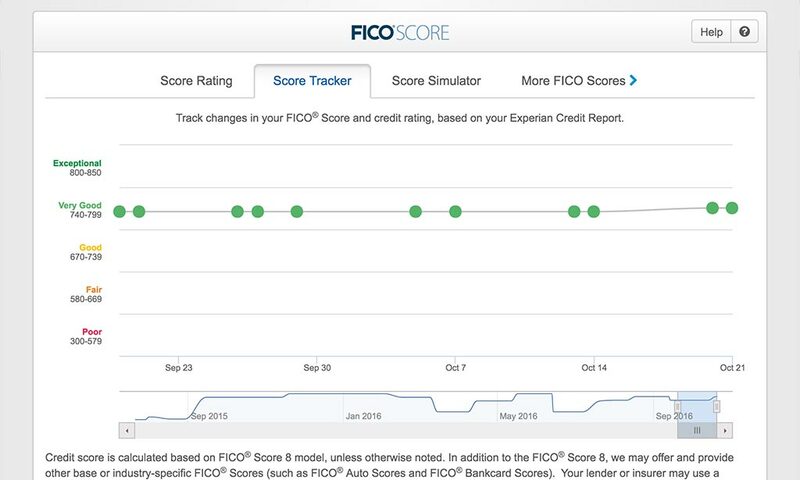 The Experian Credit Tracker website was an extensive and thorough overhaul of the company’s existing member site to a new technology stack in order to create a fast and mobile friendly application. 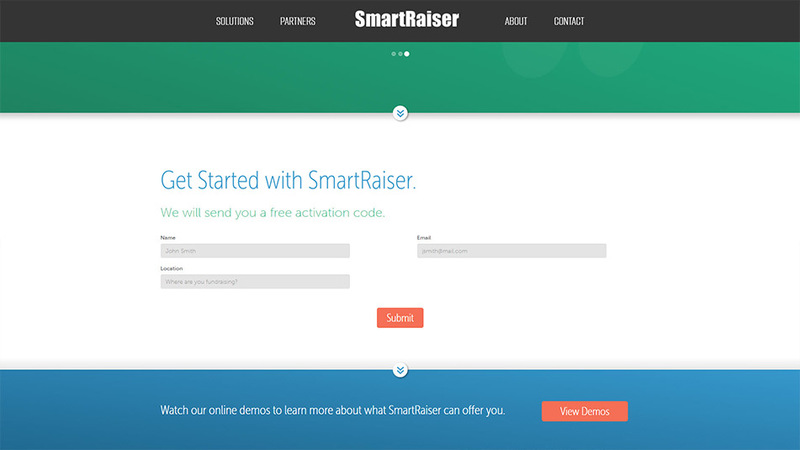 SmartRaiser is a recent startup that needed to rebrand their website to be fresh, innovative and mobile ready. Cloud Hosted – Running in the Azure cloud for stability. 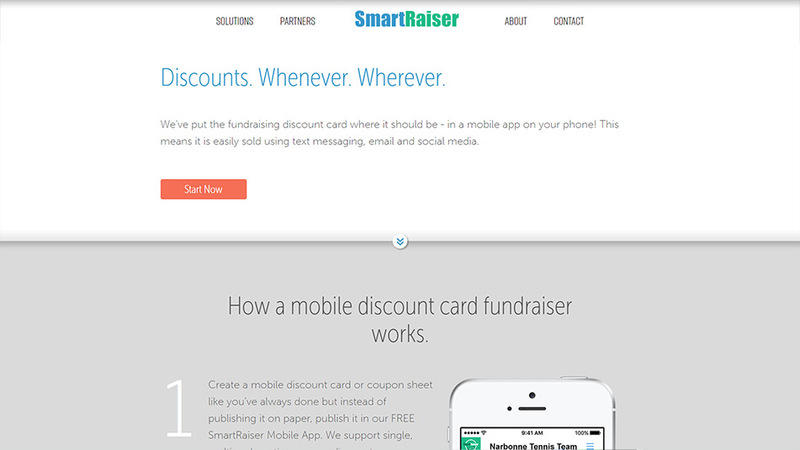 Manage Merchants and Deals – Ability to create and update the deals offered on the discount card. 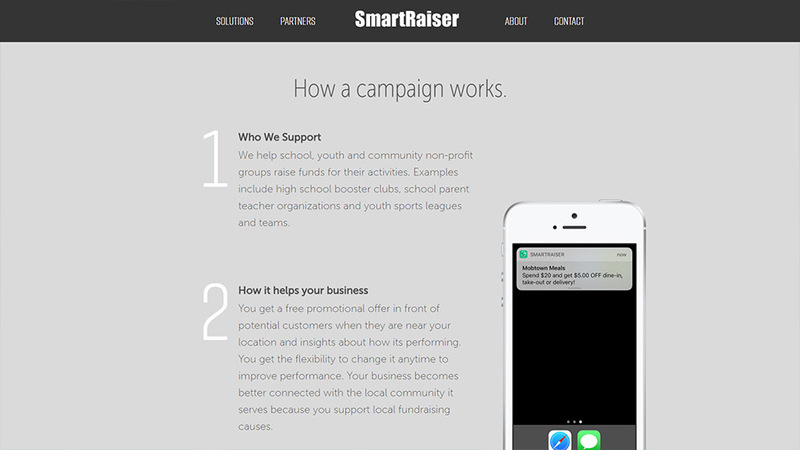 Manage Fundraising Programs and Campaigns – Ability to create fundraising programs (groups looking to raise money) and schedule their campaigns, assigning them start and end dates and products offered. 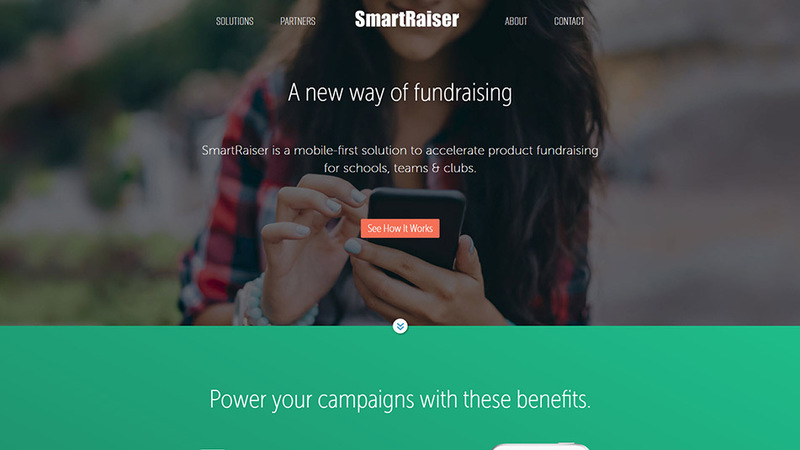 Manage Products – Ability to create listings for physical products offered as fundraisers. 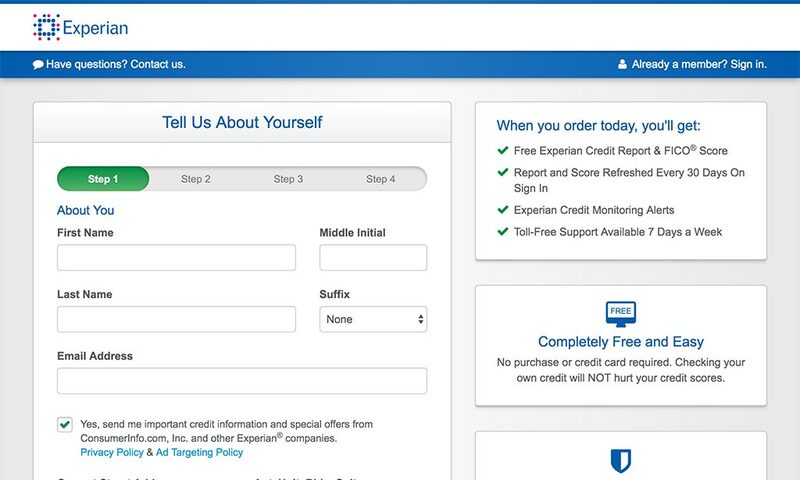 Product and Sales – Ability to add items to a shopping cart and purchase them. This included physical product and access codes for the mobile applications. 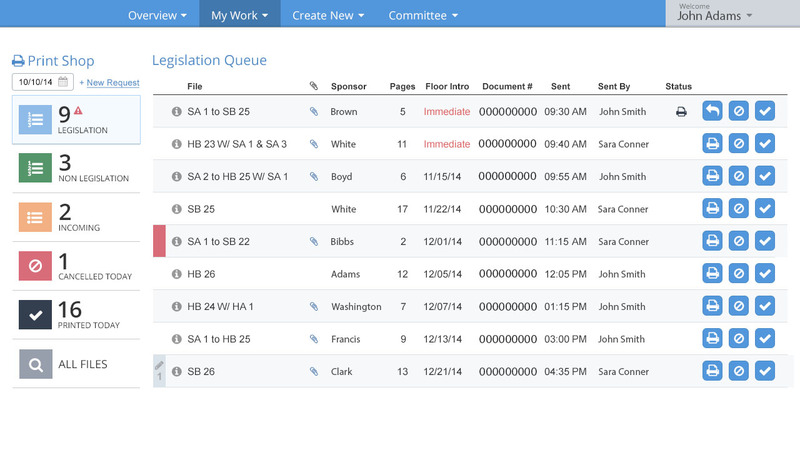 The LAWS application has a complex security model to support numerous roles such as clerks, counsel, and aides, and has extensive journal and audit functionality to support the recording of actions within the chamber for a given document. A combination of data fields and documents are used to help direct the workflow processes around the document during the course of its lifecycle. A comprehensive data auditing system was developed to ensure that a full history of all legislative data changes is recorded along with the person making the change and a timestamp. 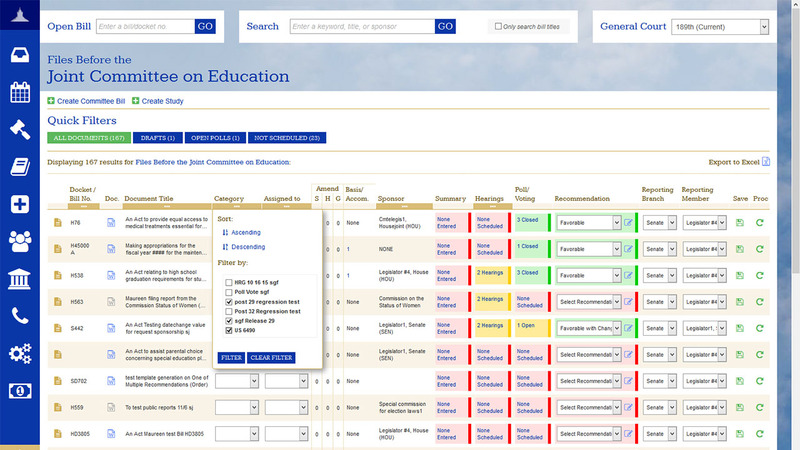 Tallan also worked with the Legislature to build a committee management module within LAWS. This module includes agenda management, live hearing management, and a set of simple and highly-readable web pages to be displayed on the wall-mounted screens in the hearing rooms. These screens provide information to committee members and the general public attendees on hearing presenters, committee members, and the agenda. They also contain an optional timer for keeping hearing time-boxed. 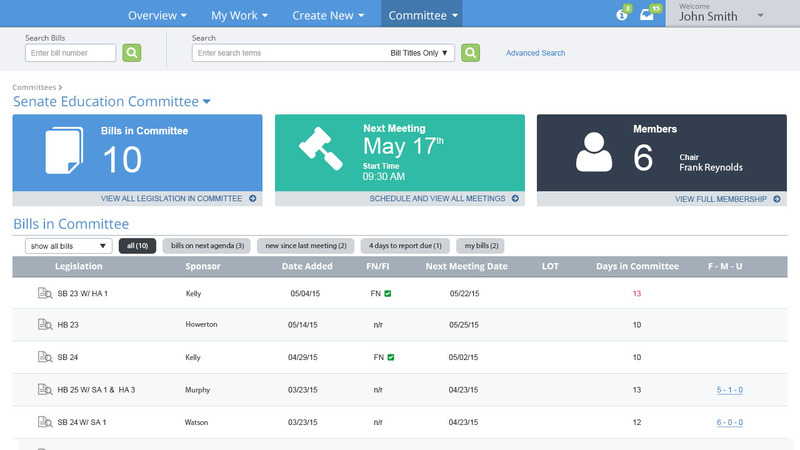 The live hearing management component allows an authorized administrator to control the information displayed in real-time – for example, the agenda screen will highlight the bill currently being discussed within the overall bill list. 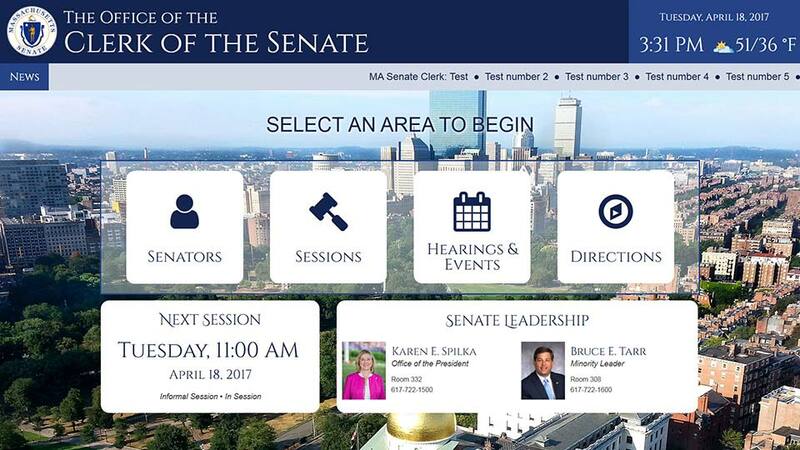 The Massachusetts Senate is making information easier for you to access by moving notices from paper to digital. 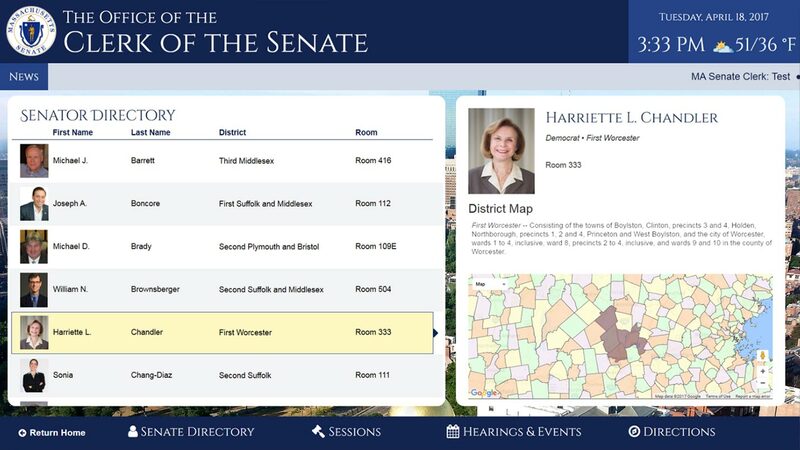 The Senate Clerk’s Office unveiled a new digital display board that features public hearing and event information with the click of a button. The touch-screen system replaces an old cork board where officials would hang agendas and session information. 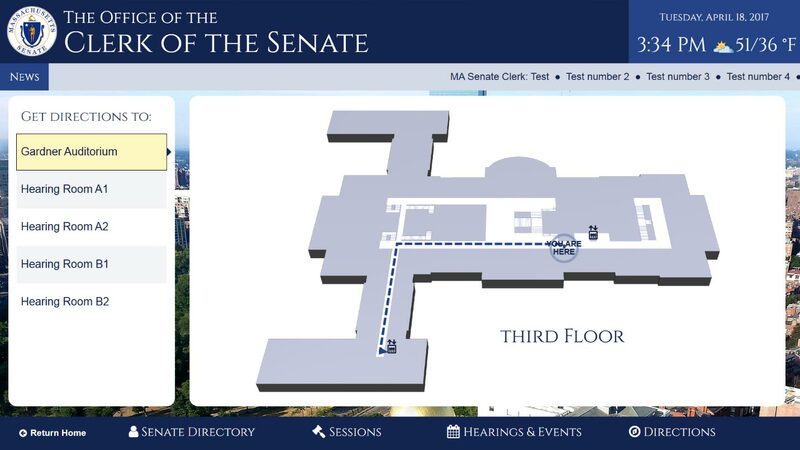 Visitors can get to know their state senators and view an interactive map of the State House. 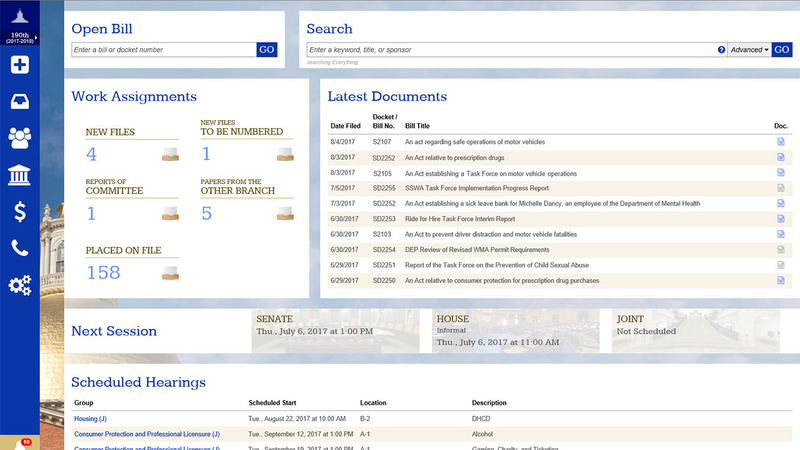 The system automatically updates with current information as the clerk’s office files records. 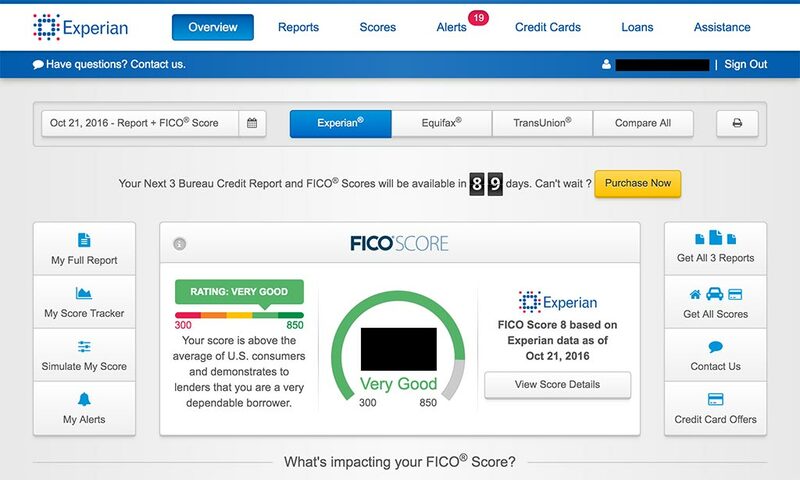 This is also an effort to making information more open to the public, increasing transparency. 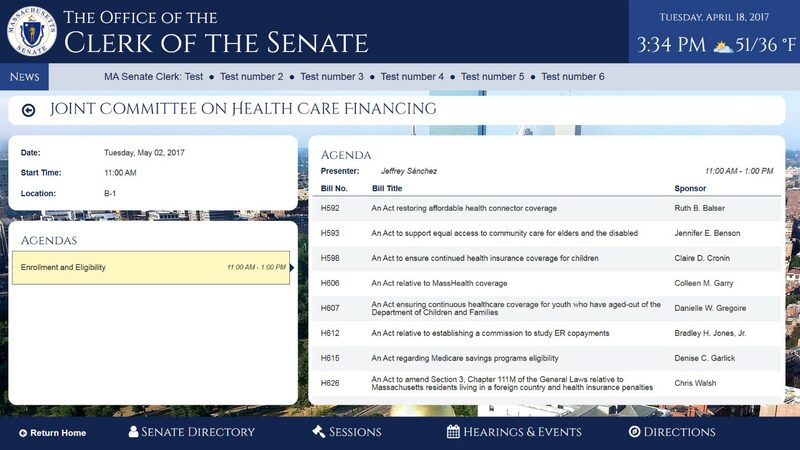 At some point, the office plans to stream a live feed of Senate sessions on the board. Tallan's top technologists share their thoughts on the latest web technology challenges, opportunities, and platforms. Learn more about how our web solutions can enhance your business operations and save you money today!